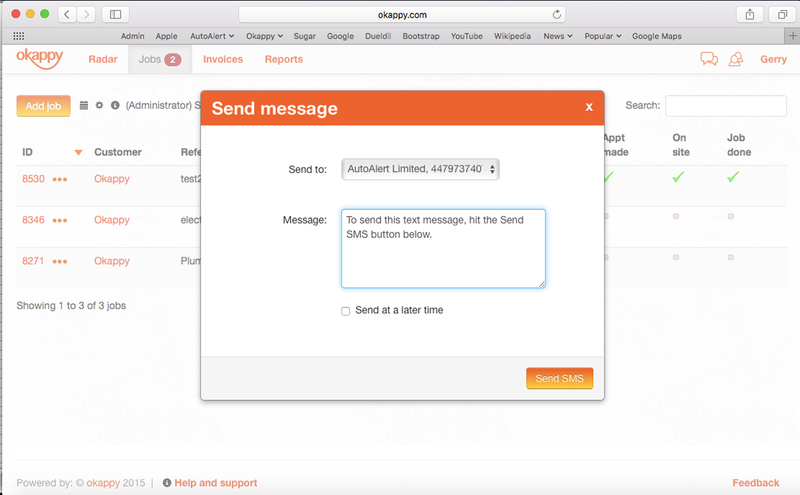 Sending a text message is simple with Okappy. Follow this guide to learn how to easily send text messages from your computer to your colleagues, customers or suppliers. 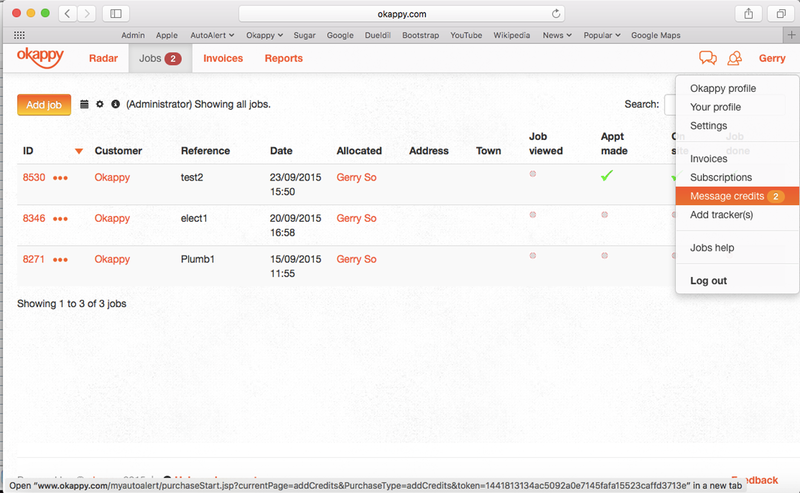 With Okappy you can also schedule a message to be sent at a later date. This is ideal if you want to remind yourself or someone else of a job or action that needs to be done at sometime in the future. Message credits don't expire. They are used for any text messages sent from Okappy, including configuration messages sent to your GPS devices or device alerts i.e., if an alarm has been activated, if a vehicle has entered a specific area, if it is speeding, or if it has been stationary or idling for a long time. Find out more about Okappy Messaging.